Fairly new on the scene, red grandis has taken the place of mahogany and Spanish cedar in the hearts of many woodworkers. 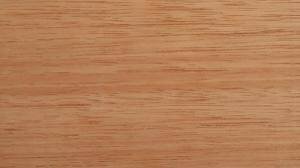 This wood exhibits excellent workability. It has a beautiful grain pattern. As a finished project the wood stains out very similarly to mahogany. It has a superb resilience to the elements which makes it an excellent choice for exterior applications and a prime wood for custom doors.